What are your thoughts on this? I read Colin's beauty pages post on this and the ingredient is safe and it does have benefits. I feel this doctor is being really misleading. Companies would not have used this for no reason at all. Ack! He said home birth is safe! Not true! He needs to read the Skeptical OB. To me, this is old news. 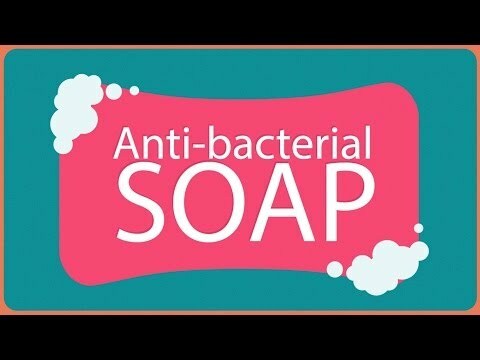 We have used "plain soap" for hand washing for years. Overuse of antibiotics and antibacterial products is concerning. If all those disease causing germs become resistant to the antibiotics we have the human race is in for a world of trouble. Just my opinion. Washing properly, i.e. sing Happy Birthday through a couple of times, is an effective way to clean your hands. If no soap is available then rubbing your hands together under running water is certainly better than nothing! Hand sanitizer or Wet Ones individual wipes are good for those times when there just isn't any soap and water, or even just water, available. Yes I agree it is a big problem but the problem I have with this is he is very misleading. It is untrue triscolan has no benefit, untrue that its unsafe for humans (other than creating resistance which is unsafe for us). He also starts off being chemophobic rather than using it as a opportunity to educate the audience than chemical can mean so many things.